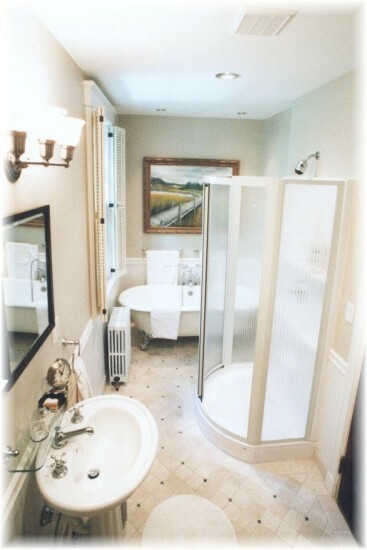 PROJECT DESCRIPTION: Complete bath rehab & enlargement - Enlarge existing bathroom by "borrowing" extra space from an adjacent closet to create a "four piece" bathroom [meaning shower separate from tub]. The challenge was that the bathroom was long, but narrow. See floor plan for details. Scope of work consisted of, but not limited to: Extensive demolition, all new electrical, lighting, plumbing & heating; All new fixtures, incl. 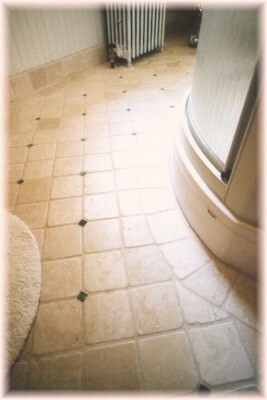 foot-clawed tub, half round shower, custom millwork & custom tiling. CLIENT COMMENTS: "We wanted an experienced contractor that had the rare combination of good sense and good taste, and with Sylvain we got both. 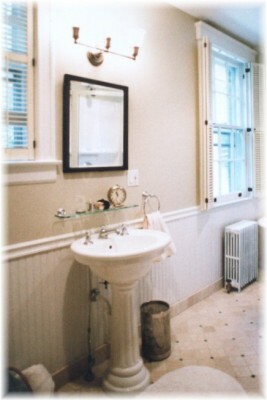 Our home was built in 1922, so I wanted to achieve a certain look with a clawed foot tub, tumbled marble floor tile, . . . the list goes on. (I can be pretty particular -- just ask my husband.) The workmanship throughout was excellent. 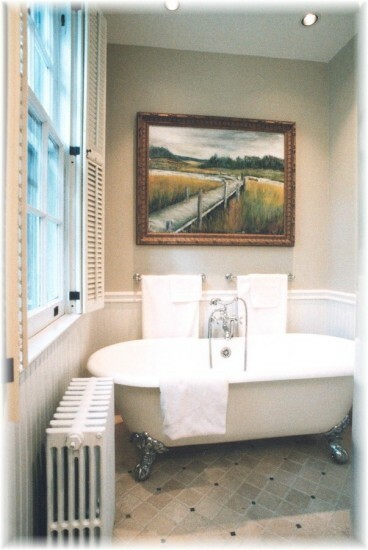 mail-order catalogs that carry accessories that are ideal for our new bathrooms. Sylvain, Tisa, and the whole Absolute Remodeling crew, were a pleasure to deal with."